You may think the "land downunder" may not have much to offer in the way of seventeenth century history but contrary to popular belief, Australia was not "discovered" by Captain Cook in 1770 but was well known to cartographers, explorers and merchants long before then, as well, of course, by its own indigneous inhabitants! Over the next few blogs, I thought I would turn away from Europe and my beloved English Civil War and bring you a few posts on the comparitively unknown 17th century history of the "far east" and the "antipodes". So to wet your appetite I will start with the bloodcurdling tale of the Wreck of the Batavia. By the early seventeenth century the Dutch has realised the fabulous potential of the "Spice Islands" could only be properly realised through a monopoly on the growing spice trade between Europe and the islands of what is now Indonesia. 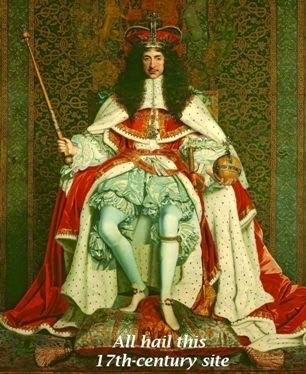 In 1602 a council of seventeen men formed the VOC (the Vereenigde Oost-Indische Compagnie or Dutch East India Company). They wasted no time in sending out their first settlement fleet and within a short time had secured a virtual monopoly on the world's supply of nutmeg, cloves, mace and cinnamon. The Dutch control over the Indonesian Archipelago continued unbroken until the middle of the twentieth century. The tug of war between the Portugese (who had established a foothold in the region during the sixteenth century), the English and the Dutch for control of the spice trade is a fabulous tale and it is well told in Nathaniel's Nutmeg by Giles Milton. I hope to make it the subject of a more detailed blog later on this year. 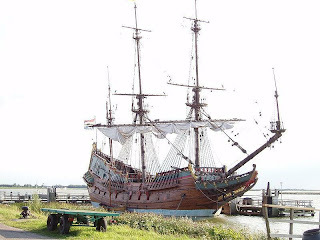 By the 1620s the Dutch were well established in Java with its centre of power being Batavia (now Jakarta) and in 1628 the newly commissioned ship Batavia, set sail from Holland in a convoy of 7 ships under the command of Francisco Pelsaart. The skipper of the Batavia was a man called Ariaen Jacobsz, a man with whom Pelsaart had a history. 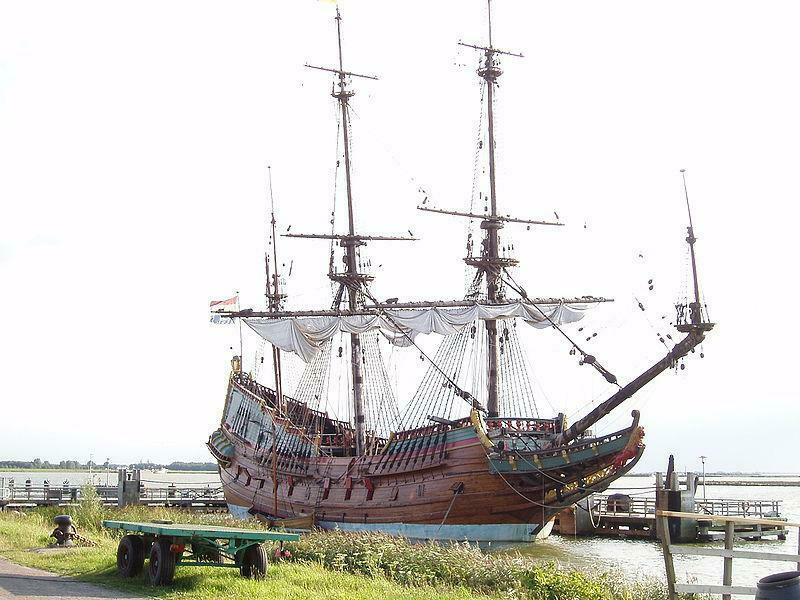 On board was a troop of soldiers and an assortment of potential settlers for the new colony including the "undermerchant" for the voyage, Jeronimus Cornelisz (a bankrupt pharmacist from Harlem) and a beautiful, high ranking young woman Lucretia Jans, on her way to Batavia to join her husband. A total of 322 people. The voyage was plagued by bad weather and the ill feeling between Pelsaart and Cornelisz was worsened by a rivalry over the lovely Lucretia. By the time the convoy reached Cape Town Jacobsz and Cornelisz were hatching a plan to mutiny, seize the Batavia and establish a new life somewhere other than under Dutch rule. Jacobsz first act was to deliberately steer the Batavia off course, away from the rest of the fleet, but before the mutiny could take place, on 4 June 1629 the ship struck a reef near Beacon Island in the Abrolhos archipelago off the Western Australian coast (then known as "the unknown land"), a string of desolate unihabited islands with no water and only seals and sea birds for food. Forty of the crew and passengers drowned in the wreck. Given the fate of the survivors, they were probably the fortunate ones! Realising the parlous situation they had found themselves in, Pelsaart, Jacobsz, the senior officers and some of the passengers set sail in the ship's longboats to reach Batavia (one of the most singular feats of navigation in history). They left the survivors under the control of the next most senior officer, Jeronimus Cornelisz. Little were the survivors to know they had been left in the charge of a psychotic killer with an extraordinary ability to bend people to his will (a seventeenth century Charles Manson). Keep it coming, Alison! I love reading something new and different. Fascinating tale. Looking forward to the next installment. Thanks, Brett and Kim. I had fun researching it. Little wonder whole books and TV programs have been dedicated to it! It is a real case of truth being stranger than fiction. I lived in Perth until I was about 10 years of age, and have really strong memories of going to the Fremantle maritime museum when I was a kid. They have part of the Batavia there. Last year I went back for a holiday and took my son to the museum, and I was pleased to again see the wreck, and still found the story just as fascinating! Can't wait to read more of this series! I was interested to see that Batavia is the subject of Peter Fitzsimmons next book. The Hoydens and Firebrands welcome anyone with an interest in the seventeenth century to post to our page. Contact any of the "hoydens" and they will be happy to assist. concerned and is not to be reproduced or copied in any way without the written consent of the author.